A timeshare is a major financial investment and should be purchased with caution. Too often, our timeshare exit team gets calls from consumers desperate to know how to get out of a timeshare. While a timeshare cancellation is possible, it is also important to carefully weigh the pros and cons of owning a timeshare before you purchase one. 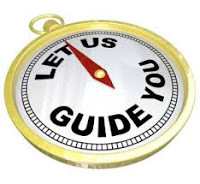 If you are considering purchasing a timeshare, it is very important that you go into the decision armed with information. 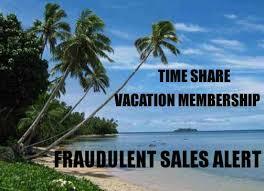 Make sure to do your research because the timeshare industry is full of excellent salespeople. If you attend a timeshare presentation, they will employ a variety of sales tactics to sell you on a lifestyle centered around luxury and exotic vacations. One sales tactic that timeshare companies employ is to offer you free gifts. Initially, this will include a two to three-night stay at a local resort. You’ll spend your days by the pool, your pockets lined with free drink vouchers and potentially a free meal as well. You may even be offered a free round of golf or a complimentary spa treatment. Once you are relaxed, you will attend a timeshare presentation. For an up-front fee, you can enjoy a week of vacation. Imagine being as relaxed as you are now, forever. Once you pay your up-front fee, all you pay afterwards is maintenance costs. And although the fee may seem a bit high (the average cost of a timeshare is around $19,000), it will allow you a week of vacation every year for the rest of your life (or as long as your contract stipulates). The vacations promised are not ordinary vacations either. They are exotic locations and luxurious accommodations. The modern points based system will allow you to use your points at a variety of properties around the world, truly making them customizable for every taste. This is a story that our timeshare exit team hears often. And, I have to admit, it does sound appealing. I can understand why many people choose to buy a timeshare. They do have some benefits. In particular, they can help ensure that you take a vacation every year because it is already paid for. Timeshares can also help you save on vacation expenses and for many people they act as a substitute to purchasing a vacation home. For some people, timeshares are a great option. In fact, I just read an article about a couple who has purchased over 15 timeshares to various locations so that they can spend more time travelling. However, many people end up disappointed in their timeshare and wondering how they can do a timeshare cancellation. Once the luster wears off, there are many negatives that come with the purchase of a timeshare. It is a serious, and long-term financial commitment. You will pay maintenance costs every year for the duration of the contract. These costs can increase, and this financial burden leaves many customers wondering how to get out of a timeshare because the strain on their wallet is too much. Another complaint that our timeshare exit team hears frequently is that a timeshare can be difficult to unload. If you call the timeshare company asking how to get out of a timeshare, they will tell you it is impossible. Even a costly timeshare attorney can usually only get you a portion of your money back. You may be told that selling your timeshare is the best option to unload it. However, most timeshares are sold at a loss. You can’t offer a free vacation to try to sell your timeshare like the companies do, so most people who purchase a timeshare do so new. If you own a timeshare that you no longer want or can no longer afford, you may think it is hopeless, and you will be stuck with it until it bankrupts you. This is simply not the case. Take it from the experts on our timeshare exit team, a timeshare cancellation is possible, even if you are outside of your cancellation period. Our timeshare exit team reviews timeshare contracts and can help you get out of your timeshare without ruining your credit. We write resort authorized cancellation letters to help consumers cancel their timeshares. 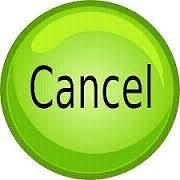 Call us today for more information on timeshare cancellation. We can help you learn how to get out of a timeshare and start keeping more money in your pocket. We are open twenty-four hours a day, seven days a week.